Square Enix's Final Fantasy VII has become the "fastest selling PS one title on PlayStation Network since the game launched" accumulating over 100,000 downloads for the PlayStation 3 and PSP following its addition to the North American PlayStation Store. 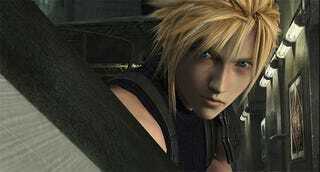 Final Fantasy VII, originally released on the PlayStation in 1997, hit the PlayStation Store on June 2nd. Over 100,000 downloads in a fortnight is a nice haul for Square Enix and Sony Computer Entertainment, considering the classic Japanese role-playing game was released at the premium PS one Classics price of $9.99 USD. Sony announced today it will continue its plans for more PS one releases, confirming Wild Arms 2, Mobile Light Force (aka Psikyo's shooting game Gunbird) and Spec Ops: Stealth Patrol as upcoming, undated releases.